Ramadhan is the month of compassion, sharing and charity. 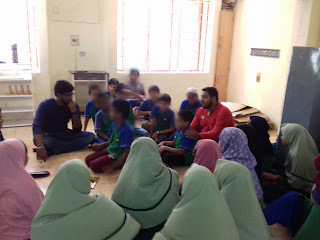 As it approaches, we at Al Qamar, took a walk down memory lane to see the various ways these values have been imbibed and acted upon by the children. 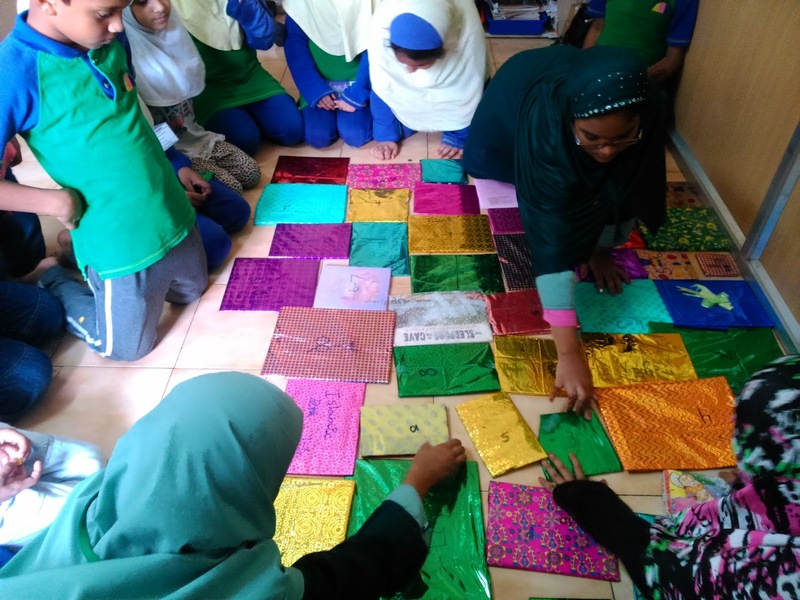 Right from the beginning, it has been an Al Qamar tradition in Ramadhan for children to take up "jobs" at home - sweeping, tidying, washing dishes, serving the iftaar. 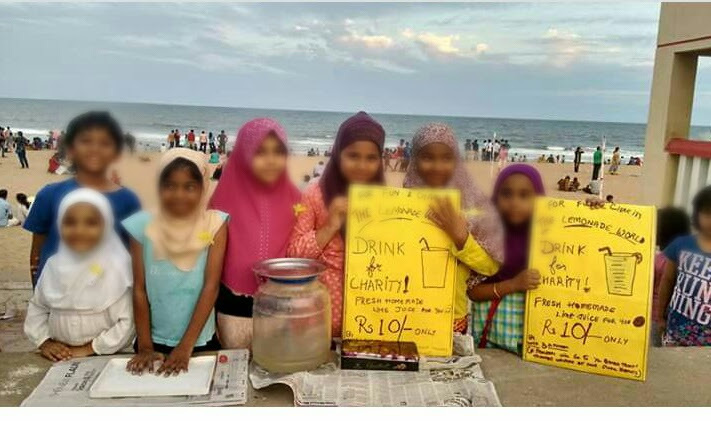 For this, the parents pay Rs 1, Rs. 2 upto a maximum of Rs. 5/- per day. 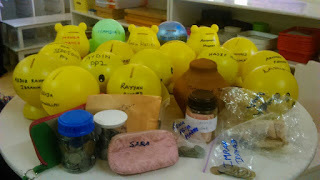 Montessori kids use cute money jars, gifted to them by their teachers to store their earnings. 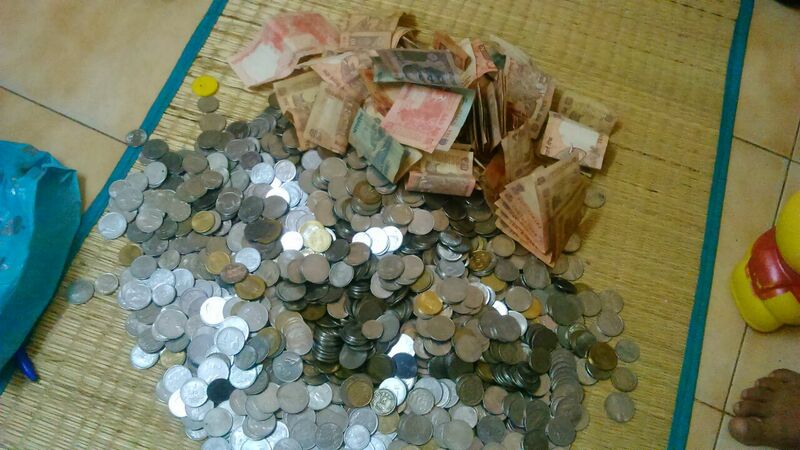 Towards the end of the month, all the children pool their money and give it in charity. They've funded packages of dates in practically all the mosques around the ECR - starting from Kanathur all the way to Adyar. And funded kanji for iftaar in one of the lesser funded mosques. For those not in the know - kanji is like a declicious stew/ khichadi widely used to open the Ramadhan fast, made in large quantities in mosque and distributed far and wide. People irrespective of religious affiliation line up to enjoy this wonderful dish. 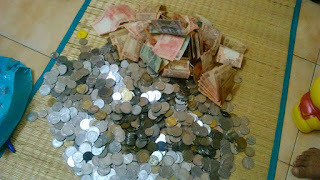 Two years ago, the children had a windfall - may be their Eidi money got added in, maybe parents gave generous bonuses. 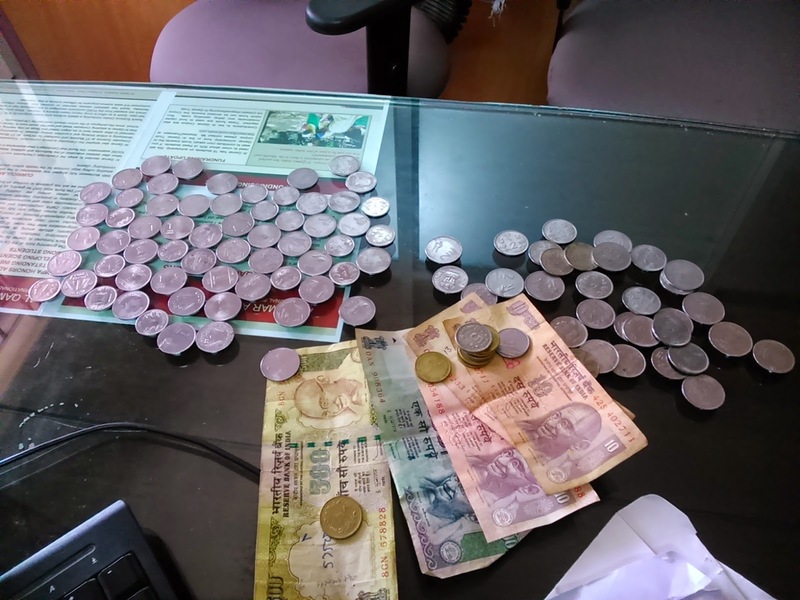 They actually collected Rs 16,500/-. 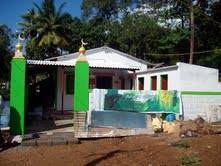 After a mutual consultation, they decided to gift part of the money to help build a bathroom in a remote mosque near a forest. 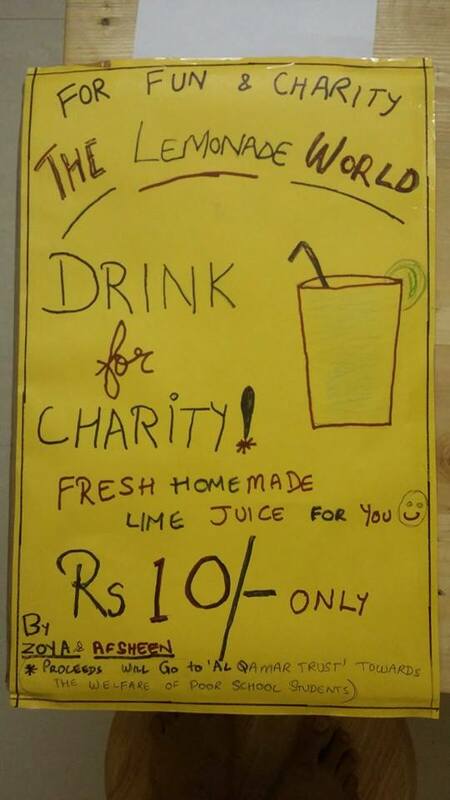 And donate some of the money to one of their ustaads whose family was in dire straits. Another year, though not in Ramadhan, children had a collection drive to gather resources for the flood hit. Most touching was Salman's contribution of his entire life savings - yes, that's right - life savings - all the money he had collected over his 8 odd years on earth. He gave the entire amount! A couple of years ago, a 2nd grader decided she needed to do her bit raise funds for scholarships. 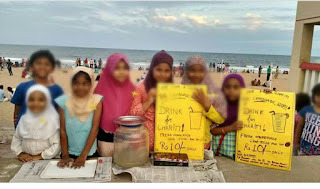 She gathered her friends, make a load of lemon juice and opened up a stall on the Kottivakkam beach. No one could resist their passionate sales pitch, and these youngsters raked it in. The next day - they marched into my office with a bag bulging with notes and coins - all Rs. 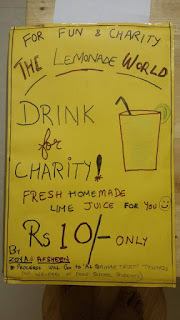 900/- odd to donate for scholarships. That year, our students participated in Daan Utsav too. 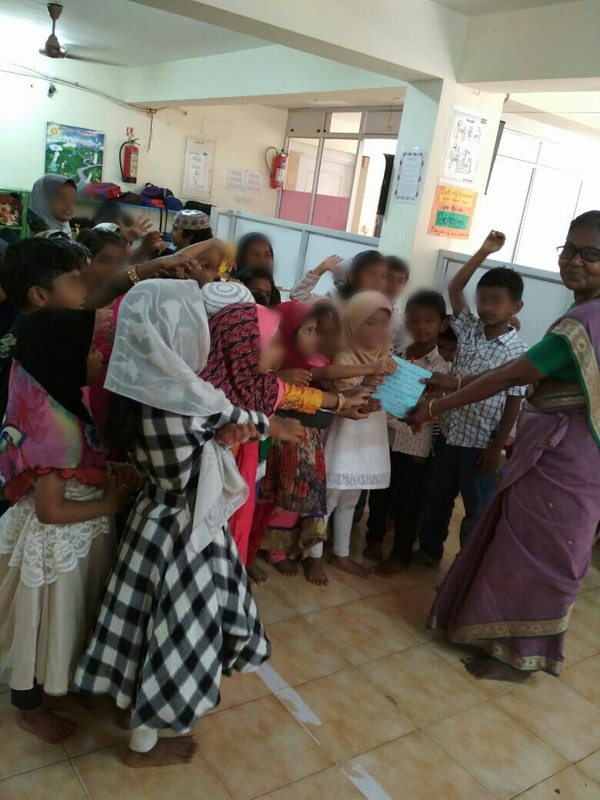 As they love to read, the kids decided to gift two books from among their collection for children of the akkas who work at Al Qamar. Children, being children, didn't just give the books - they wrapped them carefully in nice paper and wrote little notes. 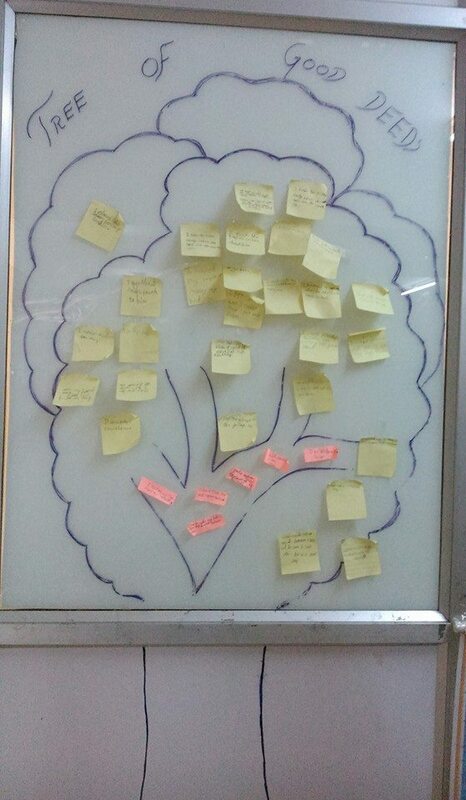 A nice ongoing project in the Elementary classroom is the Tree of Good Deeds. The Tree sheds its leaves over the summer and starts growing new ones over the year. The leaves are sticky notes with anonymous messages recording the good deeds they do each day. "I lent a pen to my friend", "I picked up her books" etc. Another time, a young girl who loves pretty stationery, won lovely stuff from Mr. Reading Pot - and gifted it all to friends who didn't win anything. Both teachers and parents were astounded to see such an extreme act of generosity - put yourself in her shoes and think - could you give away a gift you just got and treasured? This year, a bunch of little Montessorians decided to pool their end of year party money and gift it to an Akka whose daughter is getting married. What sweethearts! Generosity, giving, consideration, compassion - values that we strive to instill in children but in the end, we learn to actually put into practice from them. May the children's clean and humble hearts always teach us to be better human beings.